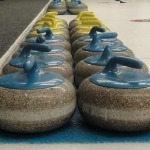 On March 20, 2019 the Board of Directors of the Elmira and District Curling Club approved a project to replace our aging curling rocks with a brand new set of rocks. This is an exciting initiative for our Club which will improve the quality of the curling experience for all of our members and guests for years to come! With a project of this magnitude comes a significant financial commitment. In addition to allocating a portion of our Building Fund to this expense, the Board is seeking additional sponsorship from members and others to offset a portion of the cost. We have arranged through the National Sports Trust Fund - Ontario (NSTF) to allow members and others to contribute funds in support of this project, and receive a tax receipt for their charitable contribution. The NSTF program complies with the Canada Revenue Agency's rules for charitable donations, and as such, donors do not receive any explicit benefit from the curling club for their donations. However, all donors (except those who wish to remain anonymous) will be publicly recognized by the EDCC Board for their support of our Rock Replacement Program. There are three levels of recognition within this sponsorship program. Silver Level – any donor contributing between $10 and $199 will be recognized as a “Silver Level” donor. Silver Level donors will have their names published in the EDCC newsletter near the start of the 2019/2020 season, unless they choose to remain anonymous. Gold Level – any donor contributing between $200 and $399 will be recognized as a “Gold Level” donor. Gold Level donors will have their names published in the EDCC newsletter near the start of the 2019/2020 season, unless they choose to remain anonymous. For donors who don’t wish to remain anonymous, the donor's name (or a name / names they designate) will be engraved on the handle of one of the new curling rocks, as long-term recognition of the contribution made to this capital project. Platinum Level – any donor contributing $400 or more will be recognized as a “Platinum Level” donor. Platinum Level donors will have their names published in the EDCC newsletter near the start of the 2019/2020 season. As long-term recognition of the significant contribution these donors have made to this capital project, their name (or a name / names they designate) will be engraved on multiple handles of our curling rocks. The number of rocks engraved for a Platinum Level sponsor will be commensurate with the amount they donate. 1. What is the National Sports Trust Fund - Ontario, and why have we partnered with them? The National Sports Trust Fund - Ontario (NSTF) is provincial organization with the primary goal of promoting or developing amateur sport. The NSTF solicits donations from the public and then disperses funds to projects across the province which further their goals. The Elmira & District Curling Club, through our affiliation with the Ontario Curling Council, is able to participate in the NSTF programs, which allows us to apply for support for projects the NSTF feels align with their goals. The NSTF is registered with the Canada Revenue Agency as a charitable organization and as such is able to issue tax receipts to donors contributing money to the Fund. 2. Do I have to use the NSTF website to make my donation? We have partnered with the NSTF so that donations are charitable contributions and therefore tax deductible by the donors. If you prefer to not make use of the NSTF website, the club would welcome your donation, but we would not be able to issue a tax receipt for it. Only donations made through the NSTF website are considered charitable donations. 3. Can I make my donation anonymously? Yes. At the time of donation, you are able to select an option to make the donation anonymously. In this case, the NSTF will still collect your personal information (to enable them to issue you a tax receipt), but that information will not be forwarded to the Elmira & District Curling Club. Anonymous donors will be recognized in aggregate in the EDCC Newsletter, but not by name. 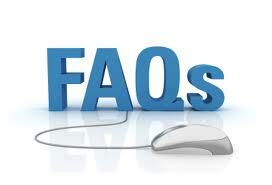 The NSTF website accepts payment by credit card, PayPal or cheque. 5. How much of my donation does the Elmira & District Curling Club receive? The NSTF charges a small fixed fee ($2) to process each donation, plus a percentage (4%) of the total donation amount for administrative expenses. These administrative expenses include creation and maintenance of the donation website, the processing fees charged by the credit card companies and PayPal, reporting to the Canada Revenue Agency, and sending donations to the supported projects. A $100 donation to the NSTF will result in $94 being remitted to EDCC. A $200 donation will result in a net of $190 coming to the club. The NSTF will issue a tax receipt for the full amount of your donation. 6. When will I get my tax receipt? Tax receipts are e-mailed to donors once donations have been confirmed. In the case of PayPal or credit card donations, the receipt is sent approximately 10 minutes after the donation has been submitted online. For donations paid by cheque, the receipt is e-mailed once the cheque is received by NSTF and has cleared the bank. There is an option available at the time of donation to request a duplicate tax receipt to be sent in January of the following year, so that you will receive a copy of the tax receipt close to tax time. 7. How long does my sponsorship of a rock last? Your sponsorship of a rock handle will last a minimum of 10 years (until the start of the 2029-2030 curling season). The Club will not initiate the replacement of a handle that is engraved with the name of a current, dues-paying member or their spouse (even if the spouse is not a dues-paying member). The Club will not initiate the replacement of a handle that is engraved with the name of a Life Member. The Club will not initiate the replacement of a handle within the first 10 years after it was initially engraved. If a rock handle breaks within the first 10 years after it was initially engraved, the Club will replace it with a new handle with the same engraving, at no extra cost to the donor. 8. Is there a limit to the number of rock handles I can sponsor? We welcome all donations, regardless of size, and will recognize donors who contribute more than $200 with the engraving of their name on a rock. Donations exceeding $400 will be recognized with engraving of multiple rocks. There is no limit on the number of rock handles you can sponsor. At the outset of the sponsorship program, there were 32 rock handles available for sponsorship. 9. Are there limits to what I can have engraved on a rock handle? Our rock handles will accommodate a maximum of three lines of engraving. Each line can have a maximum of 18 characters, including any spaces and punctuation. 10. When does my donation have to be submitted? Our sponsorship program will be active until the end of 2019. To have names engraved on the new rock handles in time for the beginning of the curling season, Gold or Platinum level donations will need to be received by July 31st, 2019. Donations received after the cut-off date will be gladly accepted, but public recognition will be delayed until later in the season, as engraving will need to be done in a second batch.